Welcome back to Meme Monday! 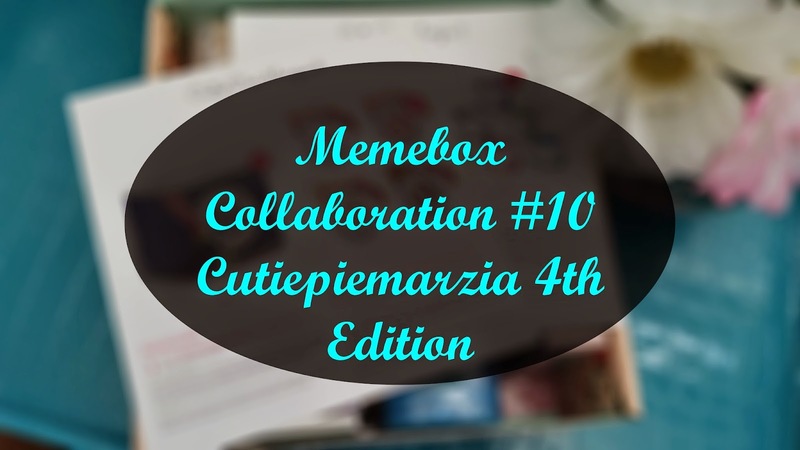 Today I will be unboxing Memebox's 10th collaboration box, the Cutiepiemarzia 4th edition. The last CPM collaboration box I purchased was the 3rd edition, and while it wasn't super amazing, it was nicely curated. So when I saw the 4th edition box and its contents, I knew I had to get it. Collaboration boxes are usually naked boxes, meaning when they are released the contents of the box are shown as well. So I knew right off the bat what I was spending my money on. The CPM 4th edition box costed $23 plus $6.99 shipping and it contains 7 full size products. Looking at the contents, it is well worth it. Although I know I won't be using every product, the products that I want to use/try were enough to convince me to purchase the box. Let's dig in and check out all the goodies. 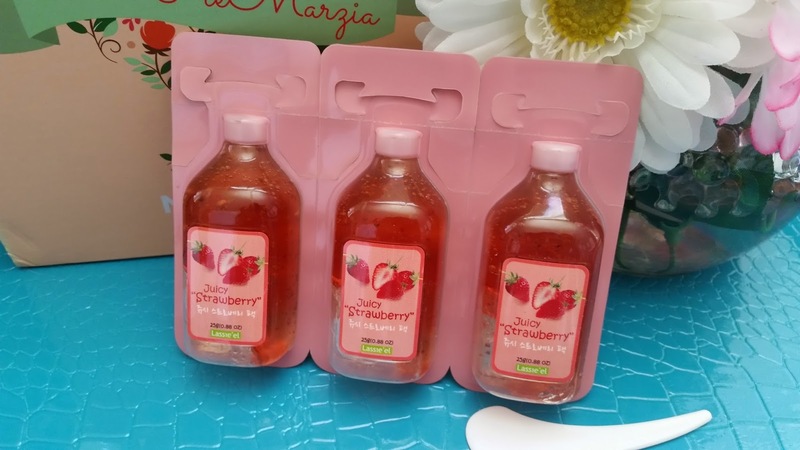 Product Description: A wash off facial mask infused with vitamins and nutrients from strawberries. It's formulated with vitamin C and fruit acids to brighten, tone, and rejuvenate the skin. The wash off mask also contains real strawberry seeds to gently exfoliate the skin and remove dead skin cells. Apply after you have cleansed and toned the skin. Simply snap off the top, squeeze out the contents, and spread it evenly over the face. Leave the mask on for 5 to 10 minutes before rinsing it off. My Thoughts: I have been loving Lassie'el's wash off masks, especially their yogurt line, so when I saw this I knew I had to try it. Plus I love strawberries, so it's a win-win in my case. I found a spatula in the box and it's probably for the modeling mask, but I wasn't sure so I included in this picture. The only down side with this strawberry facial mask is that it didn't come with an expiration date or manufacturing date. Which means I have no idea how long it is good for or if it's still good. I have emailed Memebox to ask and hopefully they will respond soon! Product Description: These single eye shadow shimmers are essential for every eye makeup collection. They can be used to contour, highlight, and add depth to the eyes. 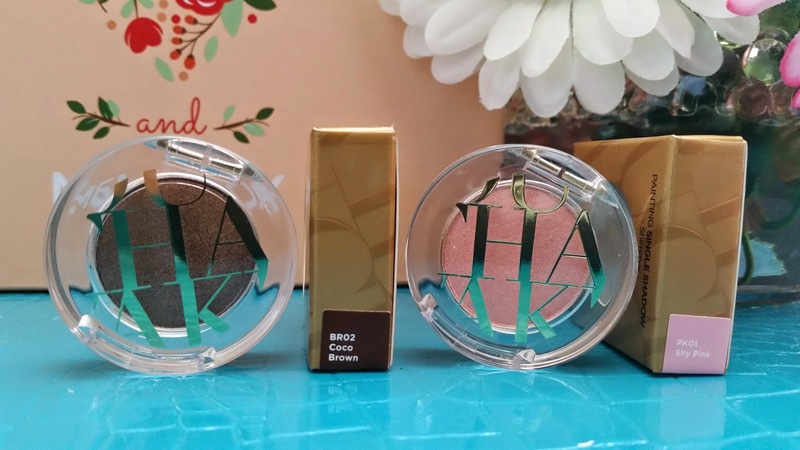 It's very pigmented and the color options ranges from soft base tones to rich deep colors. Apply the shadows after you've primed the eyelids. It can be applied with fingers or an eye shadow brush. My Thoughts: For once, I got exactly the colors I had hoped for. Hooray~ There were 4 choices of shadow shimmers and each box receives 2 randomly selected choices. I got the Coco Brown and Shy pink, the other 2 choices are Pink Blossom and Morning Brown. Since I love neutral eye looks, the dark brown and light pink are perfect for it. I have been loving Vivito products as well, their quality is amazing and I wish Memebox included more of them in their boxes. These 2 eye shadows were one of the reasons why I purchased the CPM 4th edition box. They are the perfect size for travelling too, and I can create a lot of looks with just these 2 colors. Definitely very happy with these 2 products. 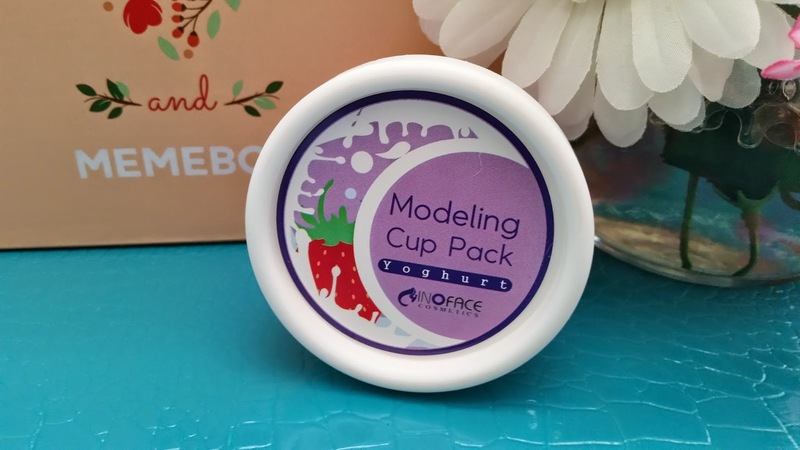 Product Description: Inoface modeling packs come in 6 varieties, each created to target different skin issues and conditions. The Yogurt pack works to remove dead skin cells while balancing out uneven skin textures. To use, mix the powder with water, a 1:0.8 ratio. Make sure to pour the water in slowly and mix as you pour until the texture of the mask has turned gooey. Spread the mixed texture evenly over clean face and leave it on for 15 minutes or so. After the mask has harden, remove it by peeling. Start from the chin and peel upwards. Afterwards, finish off with the rest of your nighttime skin care routine. My Thoughts: This will be my first ever modeling pack. I am super excited! I'm generally a sheet mask gal, they are just so easy and convenient, plus they feel great and relaxing on my face. Although I also love clay masks, jelly masks, and recently got into hydrogel masks, I always like sheet masks more. (Personal preference, since they are easiest to use, in my opinion.) This modeling pack was randomly selected from 6 choices and I would have been happy with any of them. Aside from Yogurt, the other 5 choices are Chorella, Black Food, Propolis, Acerola, and Peppermint. 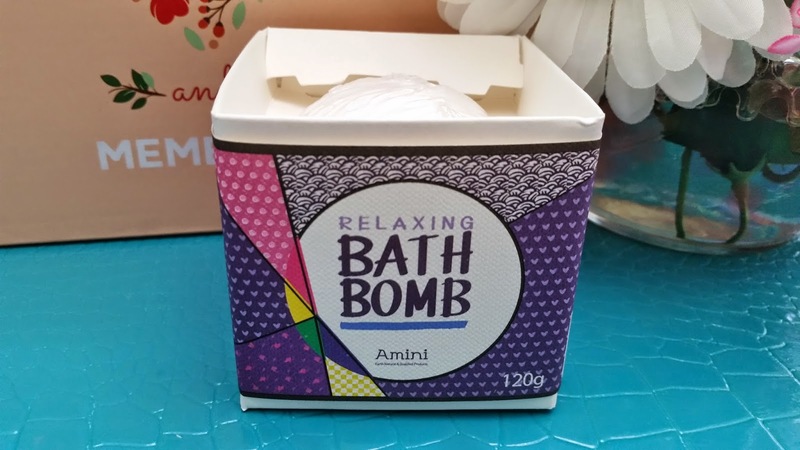 Product Description: A bath bomb designed to dissolve well in warm water and prevent the skin from being dehydrated while replenishing it with essential oils contained in the bath bomb. To use, prepare bathwater first and let the bath bomb dissolve. Bathe for 15 to 20 minutes then lightly rinse after and continue with the rest of your nighttime skin care routine. My Thoughts: This was one of the products that I didn't care for in the box. While I love taking bathes and using bath bombs, I wasn't too fond of this lavender scent. I will most likely be trading this or giving it away. 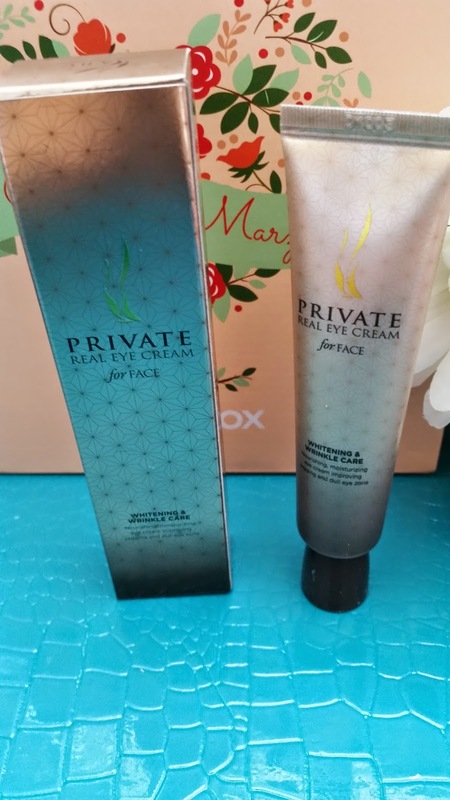 Product Description: An eye cream to restore and renew the delicate eye area. It's formulated with 8 anti-aging peptides and fermented collagen, both are powerful ingredients designed to dramatically improve the look of wrinkles and discoloration. This eye cream also works to reduce the apprence of under eye bags and dark circles, thanks to its peptide ingredients. It will help create an ageless appearance. This cream is also safe to use all over the face as a spot treatment. To use, take a small amount and apply it with the ring finger under and around the eye area, as well as any targeted spot treatment areas. My Thoughts: This was one of the products in the box that I really wanted to try. 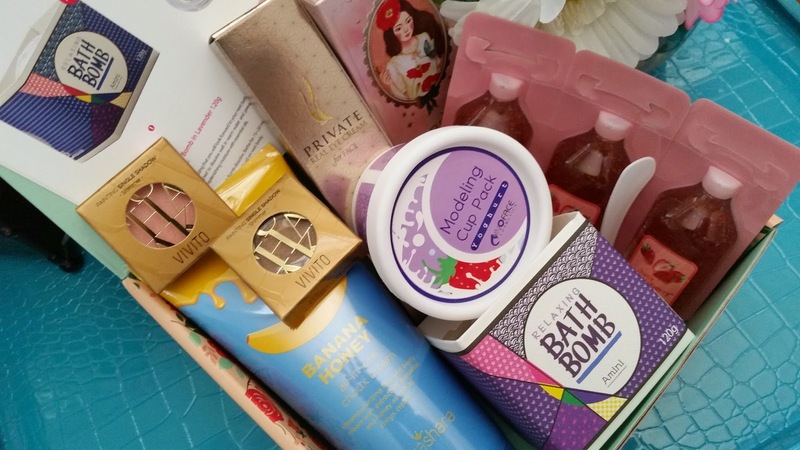 I've gotten some pretty amazing/ interesting AHC products in past Memeboxes. Like the Hologram Serum or the Special Gen Set, so I have high hopes for this one. 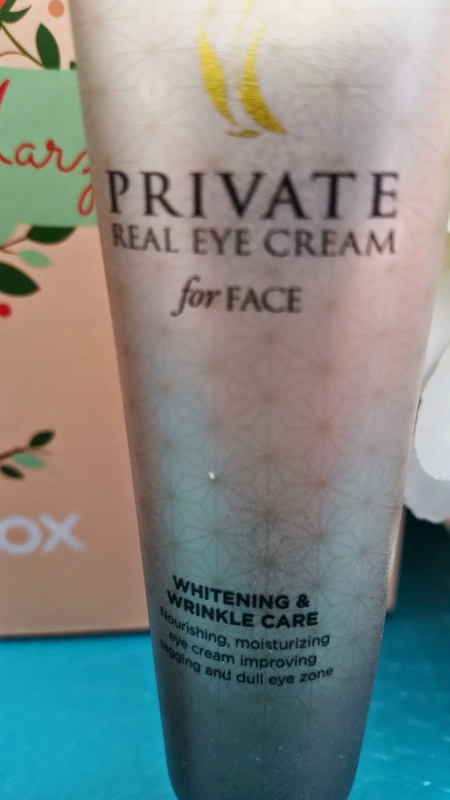 I have been looking for an eye cream that will do more than just moisturize the areas around my eyes. Although I've tried a couple of good ones, I am actively seeking out better eye creams that can offer me the most benefits. I shall try this product out and report back on it! Product Description: A yummy formula to hydrate you skin. The cream works to tone, energize, and moisturize the skin. 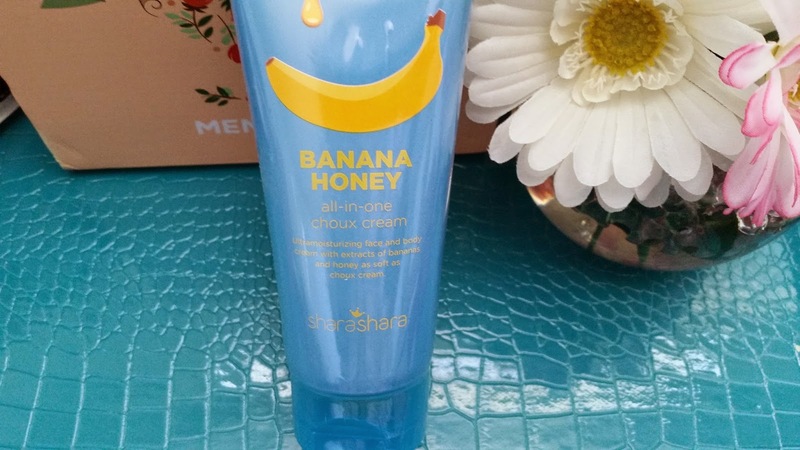 It's formulated with rich nutrients from bananas and antioxidants from honey to reinforce skin's elasticity and provide a more youthful complexion. To use, apply an appropriate amount on clean face. It can be used on the face and body. My Thoughts: Shara Shara products and my skin has never agreed, so I am avoiding the brand as a whole, for now. I have patch tested some past Shara Shara products I've gotten in my Memeboxes, and none of them ever ended well. Usually, I like to compare ingredients of products that don't agree with my skin, so I can have a list of potential ingredients that aren't right for my skin on hand and know to avoid them in the future. However, some Shara Shara products didn't come with English ingredient lists and they are quite hard to find online, so I wasn't able to compare them. To make it worse, not too long ago, my laptop died and stupid me didn't create a backup file so now my list of potential ingredients to avoid is lost in a died laptop. Hopefully, we can retrieve the information on the hard drive, although it isn't looking good at the moment. So it looks like I'll have to restart. 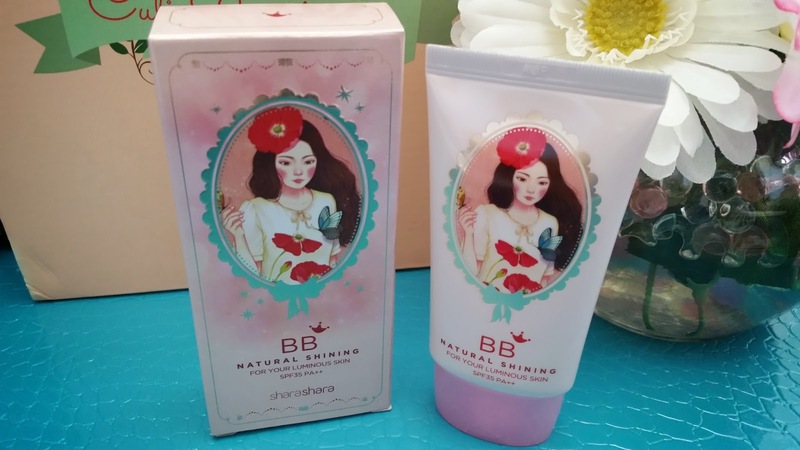 Product Description: This BB cream combines the moisturizing abilities and protective powers of skin care products with skin-evening and complexion perfecting technology to create the perfect BB. Its subtly tinted and lightweight texture conceals imperfections and reduces surface irregularities, thanks to its new generation correcting pigments. The BB cream protects the skin from UV rays with its SPF35 PA++ as well. To use, take an appropriate amount and apply onto clean and moisturized skin. My Thoughts: Another Shara Shara product that I will be avoiding for now, due to my past experiences. I do think there's an ingredient or something in Shara Shara products I've patch tested before which cause it to not work out for me. I hope to find the full English ingredient lists of all those Shara Shara products, to see what ingredient(s) might be the cause. For now, I think it's best I avoid them. To be honest, I actually really like the packaging on this one. And we all know I'm a sucker for cute packaging. Still, I shall refrain myself from testing this one. Hopefully, I can find my answer to the incompatibility with Shara Shara products soon! How's your Monday dears? What products are you hoping for in future Memeboxes? Comment below and let me know!